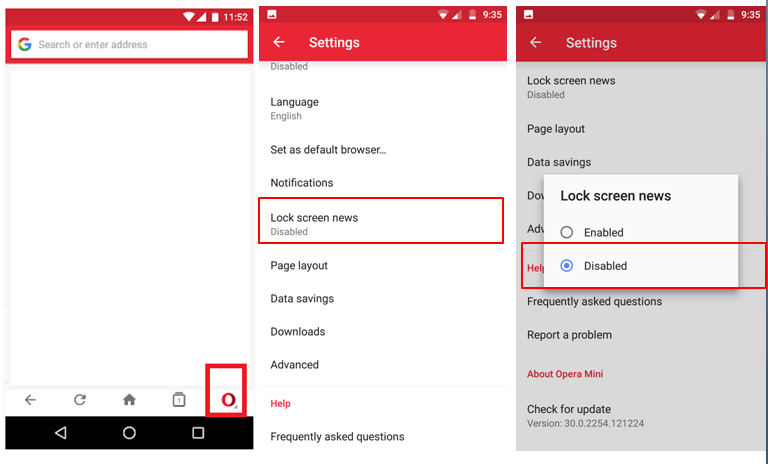 How to disable Lockscreen Ads on Android? Do you see an Ad on Android Lockscreen? How annoying is that? There are plenty of applications that show Advertisements on charging screen while the device is plugged into the power socket and sometimes, you might even end up in seeing Ads on Lock screen. What’s more annoying is, these apps just display ads without user’s permission. Here’s an example of one such application which displays advertisement on lockscreen. In the above screenshot, you can see Opera browser icon at the bottom left corner and that’s the culprit in my case. The app silently enabled an option in the setting to show an ad on charging screen and lockscreen. If you have changed language settings of the app (I’ve set Tamil), then you would probably seen an ad in your native language as shown below. So, is it such a big crime if an app displays an advertisement? Not at all – many applications display ads within their app screen and I’m not complaining that. But what you call when an app displays advertisement outside the app screen, such as on Lockscreen & charging screens? 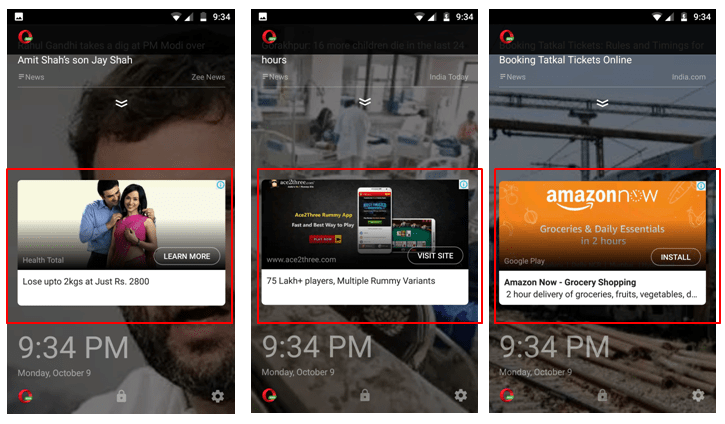 If you have installed Opera mini app (I have been using opera mini for quite sometime, but only the latest update seems to be pushing ads), then you are more likely to see these ads without your permission. Fortunately, the app does provide an option to disable it. To do that follow the below steps. Step 1: Launch Opera Mini app. Though the option says “Lock screen news”, it actually displays both the latest news & advertisements on the Lockscreen. Disable it to get rid of those annoying ads. there are few popular apps such as Turbo Cleaner, Fast Cleaner, TrustGo etc.go beyond app screen to display Ads on Lock screen & charging screen. Click here to disable it.